David Buckel — a ground-breaking lawyer for gay rights, an environmental activist, father, partner, community builder — who burned himself to death on April 14. He was loved by many people and, I am sure, almost everyone who knew him was shocked by his chosen death by fossil fuel. In his characteristic way, David carefully sent out a detailed message to media outlets and provided a neat folder with a note to first responders. He wanted to press upon the world the urgency of acting to prevent climate tragedy. He wanted to wake up the world to prevent global death by fossil fuels. I knew David through our mutual work in the Brooklyn Food Coalition starting almost a decade ago. He was always responsible and serious about changing policy on every level — city, state, national, global — that could protect people and our planet. 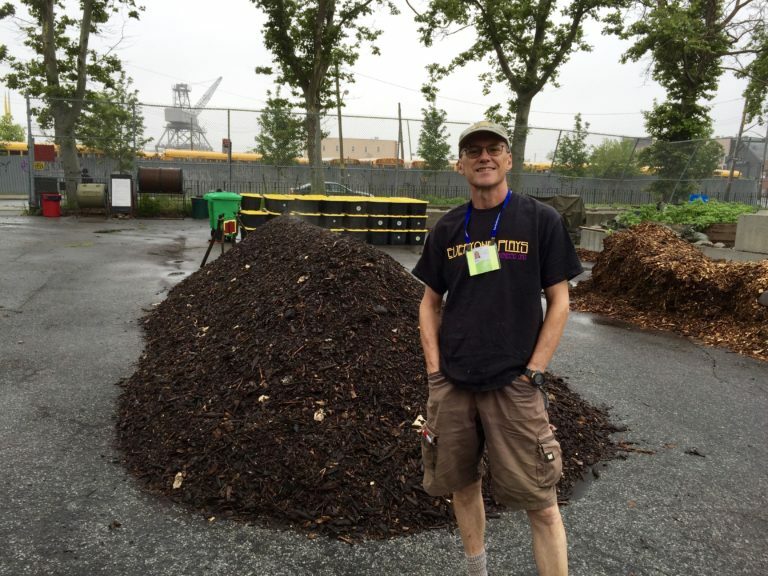 His work on compost and its power to sequester carbon in the soil was well — and highly respected. But why did a man who had so much to live for take his life? Although I am a psychologist, I cannot possibly say “why.” It’s not my intention to do so. I have no doubt that he suffered, perhaps among other problems, from “eco-anxiety” — a chronic fear of environmental doom. This is a new term coined by philosophers and psychologists over the last several years. The American Psychological Association expects that eco-anxiety will erode mental health in myriad ways, from PTSD on the part of those directly affected by climate disaster to increasing depression, anxiety, grief, despair, stress and suicide in others less directly affected. The Yale Project on Climate Change Communication found that 39 percent of Americans say they are either alarmed or concerned about climate change. Recently the American Psychological Association indicated that climate change is beginning to trigger a vast mental health crisis. While people on the front lines of climate-induced disaster, such as the citizens of Puerto Rico, experience intense physical and mental health effects, eco-anxiety affects those who may be distant from the disaster and feel helpless about it. A 2017 Gallup poll found that 45 percent of Americans “worry a great deal” about global warming. This angst will intensify as climate chaos advances. We know what lies before us if we do not reverse our dependence on fossil fuels, our cultural belief in constant economic growth and our disastrous use of land for extreme profit instead of protecting it and allowing it to cool the planet. We are already experiencing rising sea levels, more extreme weather events — hurricanes, tornadoes, earthquakes, tsunami, wildfires, droughts and floods, mudslides. We are already losing human and animal life. Crop failures threaten our food security. Coastal cities will need to resettle further inland, ultimately abandoning the cultural, economic and residential communities we love. Those at the margins of society will suffer the most. Climate chaos will create failed states that will send millions of climate refugees. Are you scared yet? Are you in denial? Are you, as clinical psychologists say, “dissociating,” splitting yourself from the reality of climate change? It’s hard not to. I always assumed I would leave a livable planet to those who went after me, but now I know that is not true. I look at kids in strollers, the shining faces of my grandchildren and everyone else’s grandkids, I see the valiant youth struggling to save our nation from gun violence and I feel so sorry. And I feel guilty — guilty that my generation took more than our share instead of having the foresight to do something to protect our planet and our loved ones. I don’t want to see anyone else become a martyr for the climate movement. I don’t want to see young people and elders fearing the future. I don’t want to see the fossil fuel corporations continue to rule our economy and politics at the cost of our beautiful planet and its masses of people. 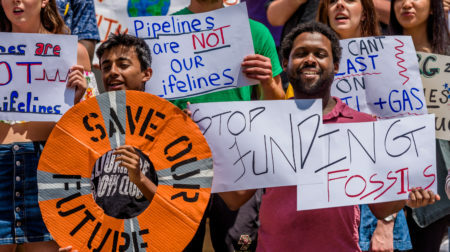 But the only way to save the planet and to save our loved ones from the growing fear and reality of climate chaos is to act now before the planet passes the series of climate tipping points that scientists warn it will never return from. Let us remember David Buckel for the good that he did in his life and empathize with him for the pain he experienced looking squarely at climate change. Let us commit ourselves to climate activism, to protecting our beloved planet Earth before it’s too late. We can do it if we have the will. Nancy Romer is a professor of psychology emerita at Brooklyn College, senior strategic advisor for Labor Network For Sustainability and a member of the People’s Climate Movement-NY Coordinating Committee. Photo: David Buckel. Courtesy of Nancy Romer.